Hooray! Our son Jerry and friend Blake Bickmore are is here visiting. 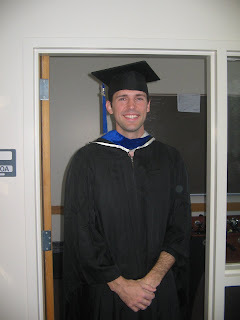 Jerry just graduated from BYU with his Masters of Accountancy! He goes to work September first for Deloitte Touche in Dallas. In the meantime he is studying for the CPA exam. He will remain in Provo, Utah until August. Congratulations Jerry! My brother made your blog. He is famous! I'm glad you had fun with them! Blake and Jerry have gone down to Orange and Anaheim. I think they will be at Camie and Spencer's. We celebrated Blake's 24th Birthday with him yesterday!!! What a great couple of guys! I have a confession to make. Jerry did not want me to post the picture of him in his cap and gown. 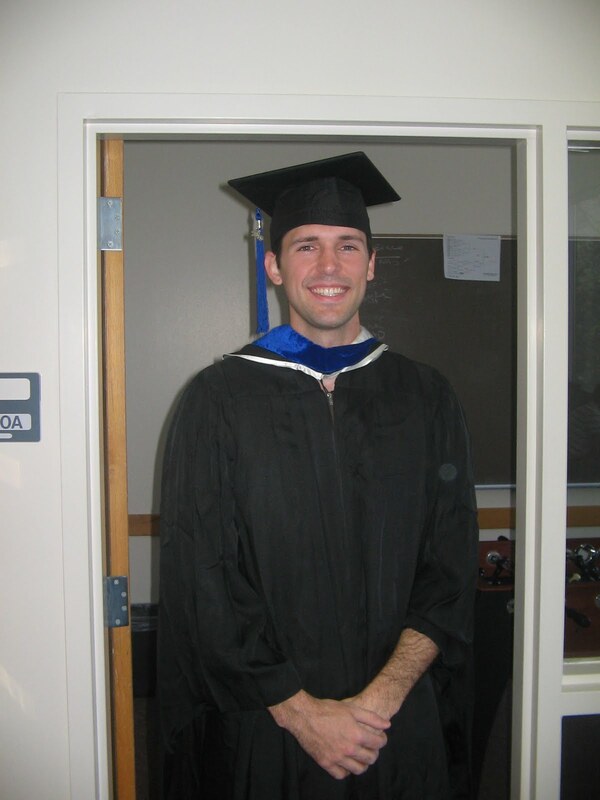 It was a borrowed cap and gown (hense the too short sleeves). Then he had to help me get it posted on our blog. He said "You owe me one Mom."